Wyndham Worldwide has announced executive leadership appointments for the new, publicly traded pure-play hotel company to be created by its recently-announced 2018 spin-off. With 18 brands and over 8,100 hotels, Wyndham’s hotel business is the world’s largest hotel company by number of properties. It is home to an industry-leading loyalty programmr with more than 50 million members, and is emerging from a three-year strategic focus on improved brand quality, distribution technology, and brand marketing. Anchored by iconic hotel brands including Days Inn and Super 8, the future asset-light, fee-for-service hotel company is poised to build on its leading position in the economy and midscale segments, while growing its upscale portfolio and management business. As previously announced, Geoff Ballotti, current CEO of Wyndham Hotel Group, will continue to lead the hotel company as President and CEO. Also recently announced, David Wyshner has joined Wyndham Worldwide as CFO and will become CFO of the new hotel company upon spin. Chief Strategy and Development Officer: Tom Barber, currently Senior Vice President, M&A and Operational Excellence at Wyndham Worldwide. General Counsel: Paul Cash, currently Executive Vice President and General Counsel at Wyndham Destination Network. Cash will assume this role at the end of 2017. Chief Marketing Officer: Barry Goldstein, currently Chief Marketing Officer at Wyndham Hotel Group. 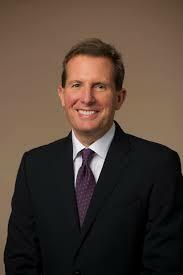 Chief Operating Officer: Bob Loewen, currently Chief Operating Officer of Wyndham Hotel Group. “This proven and experienced leadership team of industry veterans is perfectly suited to move this business forward as a standalone leader in hospitality, with an incredible global portfolio, a strong and resilient asset-light business model, strong cash flow, and a growing pipeline,” said Ballotti. On 2 August 2017, Wyndham Worldwide announced plans to spin off the company’s hotel business, resulting in two separate, publicly traded companies. Wyndham Hotel Group, with headquarters in Parsippany, NJ, will become a new, publicly traded pure-play hotel company with a portfolio of renowned brands. The other publicly traded company will include Wyndham Vacation Ownership, with headquarters in Orlando, Florida, the world’s largest publicly traded timeshare company and Wyndham Destination Network, home to RCI, the world’s largest timeshare exchange company. The corporate names of the post-spin public companies have not yet been decided. The two public companies intend to enter into long-term exclusive license agreements to retain their affiliation with one of the industry’s top rated loyalty programme Wyndham Rewards, as well as continued collaboration on key inventory sharing and customer cross-sell initiatives.